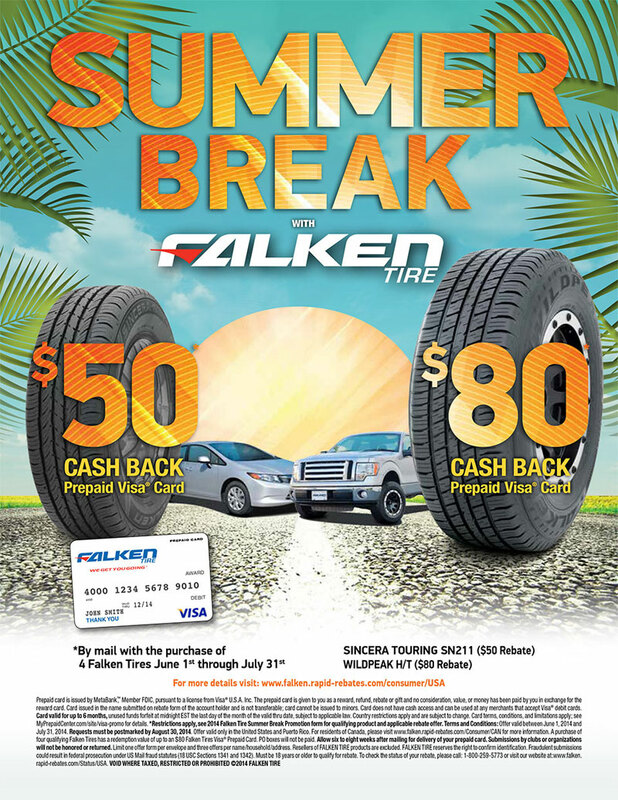 Get up to $80 Back by Mail with the Purchase of 4 Falken SN211 or 4 Falken Wildpeak H/T Tires June 1, 2014 through July 31, 2014. Find great deals in the Falken SN211 here. Find great deals in the Falken Wildpeak H/T here.